They say that you make a house a home. Whether you desire bright and beautiful colours, or you prefer something a little more simplistic and sophisticated.  At Crown Windows in Milton Keynes, we offer bespoke Windows/Doors/Conservatories to suit any room. If you’re looking to change something within your home, however you’re not quite sure on what it is. Take a look at our window replacement for your home. The many colours and designs will be sure to create a WOW factor. All of our windows offer PVC-u profiles, available in all types of different colours/woods and sizes. We not only provide the traditional style, we also cater for those who are in need of a modernist look. Looking to create a statement as you walk in to your home? Then opt for our Georgian Windows. Their grand, superior look creates a warm yet prestige feel to your home. We like to call this sophistication meets quirky style. Or maybe you’re just looking for practicality within your home, something which does the job and looks professional. We have the perfect Tilt and Turn Windows Leighton Buzzard. This type of window is suitable in any room, and you have full control on how much air you allow to enter the room. Many people can’t stand the thought of getting construction work done in their home, they don’t want the hassle, the mess and not to mention the stress. We have contact with many builders in Milton Keynes, who are professional get the job done and the added bonus of being friendly workers. It doesn’t have to be as scary as what you may think. This quick process will be all worth it in the end, trust us! We know you’ve been thinking about getting replacement windows…don’t wait any longer. Get in contact with us today! Transform the look of your home, by a quick and easy process.